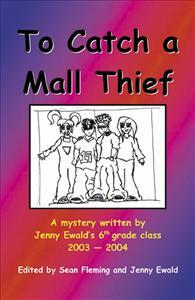 Jak never suspected that he and his friends would become involved in a mystery that had been plaguing the mall. See if you can figure out “who done it”. To celebrate his 12th birthday Jak invited Nicholas, Summer and Marisol, his 3 best friends from 6th grade, to the mall and Camp Snoopy. He never suspected that they would all become involved in a mystery that had been plaguing the mall for some time. He also never suspected that two of his friends liked each other so much. Join Jak and his friends on this mysterious adventure and see if you can figure out “who done it”. To celebrate his 12th birthday Jak invited Nicholas, Summer and Marisol, his 3 best friends from 6th grade, to the mall and Camp Snoopy. He never suspected that they would all become involved in a mystery that had been plaguing the mall for some time. He also never suspected that two of his friends liked each other so much. Join Jak and his friends on this mysterious adventure and see if you can figure out “who done it”.